If your goals for the new year include the installation of a custom pool and spa, or a pool renovation, you’re in for a world of possibilities when it comes to design. Swimming pool trends for 2018 are full of inspiration and personality, and the best part is, luxury pool builders can create them on any budget. Warm weather and abundant sunshine are reasons enough to invest in a custom pool and spa, but you need the right pool design company to do it right. The best luxury pool builders can naturally enhance the beauty of your space with their work. Here are 10 of the design trends that are doing just that. Sprawling swimming pools will always have their place in the American backyard, but many homeowners are finding that the best things come in small packages. You’ll find that some of the most modern pools are showcasing compact designs, which save space for other outdoor activities. 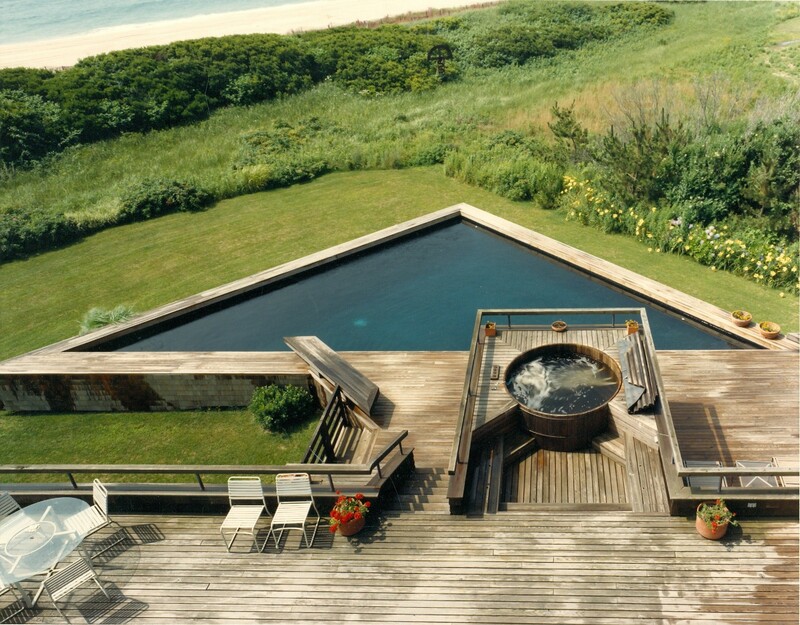 Also, with zoning regulations or space constraints, a smaller pool can be a functional solution. Luxury pool builders are meeting the creative demands of homeowners by custom designing swim spaces in spectacular shapes and sizes. Designed with precision, fashioned pools are inspired by endless forms, patterns and architecture—from fish shapes to zigzags to palm trees, these pools create the ultimate ambiance of entertainment. Also known as wet-edge pools, these breathtaking displays are built in such a way that you can’t quite tell where it begins and ends. They’re often built strategically by a pool design company to overlook gorgeous views like cities, oceans or lakes. Tanning ledges, also known as sun shelves or Baja shelves are flat, shallow areas built into the pool to accommodate sun-bathing chairs, children’s play and handicap access. These “shelves” are an ideal feature for cooling off on a hot day. Custom water features never go out of style when it comes to swimming pool trends. Fountains, waterfalls and deck jets add personality, entertainment and a soundscape that enhances the overall swim experience. In a world of smartphones and apps, new technology integration enables pool and spa owners to control features like lighting, temperature, music, water features and more, with the touch of their fingertips. You can download automation apps to your phone or tablet, and control the experience with ease. In true “now you see it, now you don’t” fashion, disappearing spas are the most elusive feature of a custom pool and spa design. With the touch of a button, a circular spa can magically appear from under the water, with a flagstone bridge providing access from the deck. With the push of another button, the spa and bridge can lower below the water level and vanish. If all that action isn’t up your alley, luxury pool builders can remodel your pool to include a custom spa in unexpected ways. Swimming pool trends don’t have to be some unattainable ideal. With the help of luxury pool builders who have a solution for every budget, you can have the pool and spa of your dreams this coming year.